When it’s time to seek new attic insulation for your home in Concord or another community in North Carolina, it’s time to call in the experts at 31-W Insulation. We’ve been the trusted source for insulation and other home improvement services since 1972, offering products from outstanding manufacturers and superior installation by our team of highly trained and experienced technicians. 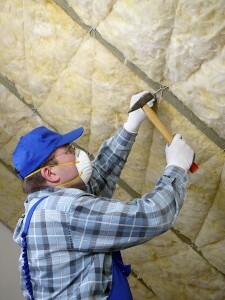 Installing new insulation means you’ll enjoy numerous benefits; one of them is lower energy consumption which offers not only lower heating and cooling costs, but also gives you the comfort of knowing you’re doing your part for the environment by using less energy and reducing your carbon footprint. Additionally, you’ll be pleased to know that our many years of delivering superior service has earned us an A+ rating from the Better Business Bureau, so you can be sure your attic insulation project is in safe, capable hands. To learn more about how 31-W Insulation can help you save on energy costs by upgrading the attic insulation in your Concord, NC, home, contact us today.